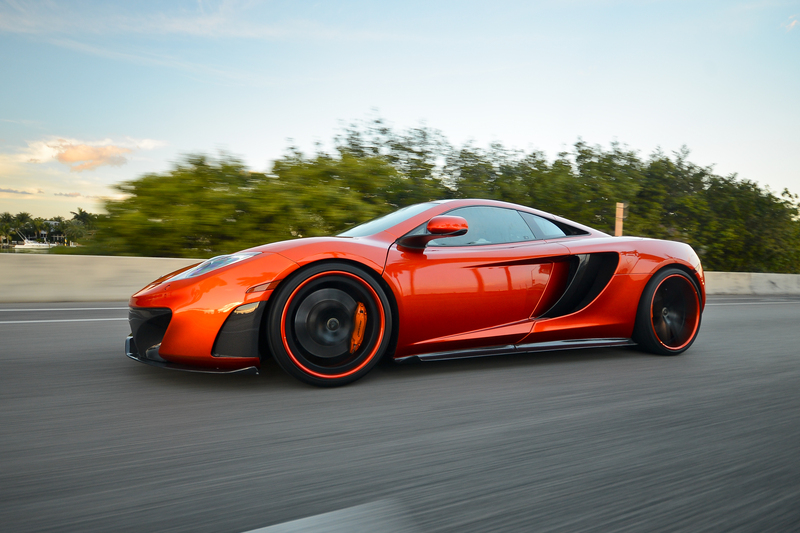 Don’t let the highly technical name scare you off; the McLaren MP4-12C has got it where it counts. The heart of the 12C, a 3.9 Liter twin-turbo V8 cranking out 592 horse, will propel you both from 0 to 60 in an impressive 3.1 seconds. These super-car rental features a computer controlled 7 speed twin-clutches that are activated with a push or pull of the paddles right behind the steering wheel. 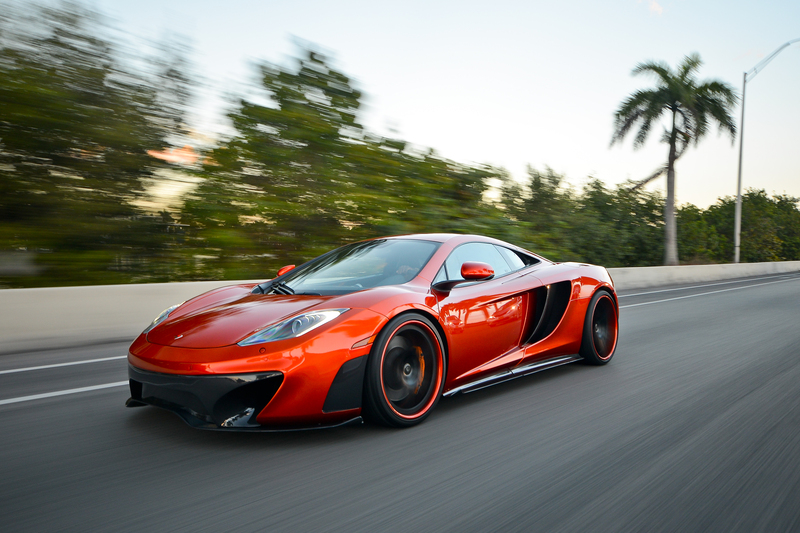 New or experienced drivers of exotic super-cars will both find something to love about driving this rental. Be it the stunning looks, superior handling, or the sublime power, you’ll want to keep driving even after you’ve reached your destination. To mix it up a bit, the 12C features two selector dials on the center console that let you change the handling and power train options to perfectly match your driving style to the type of road you find yourself on. This exotic rental will catch eyes and maybe even some hearts anywhere you go. 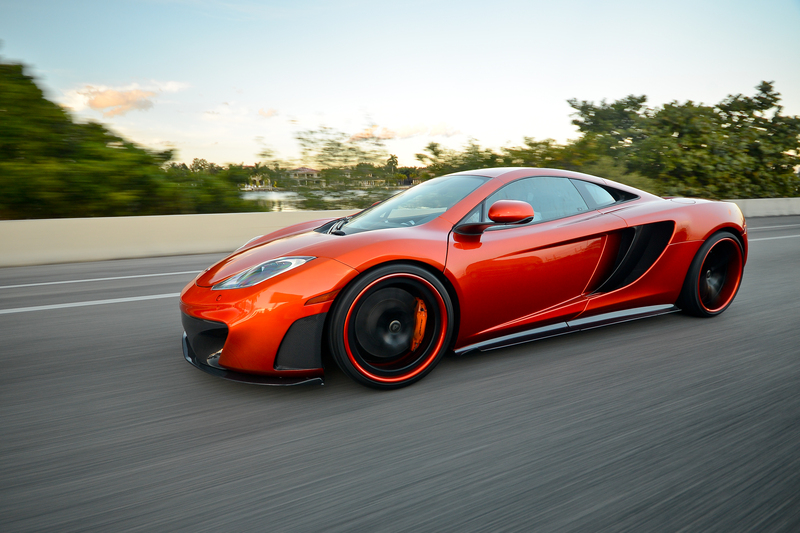 The only difficulty you’ll have with the McLaren on rent in Miami is finding the door handles. It uses hidden sensors where you simply swipe your hand over and the door rotates forward and up like that of an insect’s wings.